Surprise’s losing skid reached four after a lop-sided Thursday defeat. 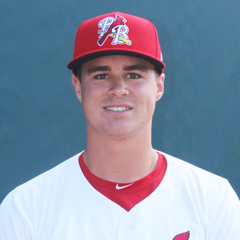 St. Louis Cardinals second base prospect Andy Young singled and drove in a run. Results from the game played Thursday, October 18th. The (4-4) Saguaros’ losing skid reached four games as they were pounded by the Solar Sox, 18-2. Starter Nate Pearson (L, 1-1) (TOR) retired only three of his 13 batters faced, yielding eight runs, seven earned, on five hits and four walks over one plus. One of his five hits allowed was a three-run home run. Rangers’ righty Joe Barlow allowed two more tallies on two hits and two free passes while recording five outs, three of them strikeouts. Amaldo Hernandez (2 1/3 IP) (KC) and Grant Gavin (2 IP) (KC) proved that it was possible to pitch without giving up any runs but that ended when Walker Sheller (KC) took the mound to begin the eighth. Sheller was shelled for five scores on three hits and two walks, including another three-run bomb, in just 2/3 of an inning. Sheller’s final run scored with St. Louis’ Will Latcham on the mound. Latcham surrendered yet another three-run long ball before the eighth was over. 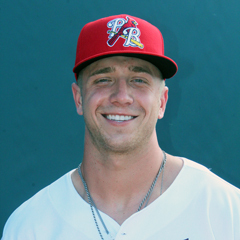 The right-hander permitted a walk, RBI double and home run to right center before retiring four straight. The team did not fare much better at the plate, a huge tell being the differential between their total hits and errors coming in at plus 1. Andy Young, St. Louis’ sole starter, garnered one of his squad’s four hits, an RBI single to left that drove in third baseman Charles LeBlanc (single) (TEX) to get Surprise on the board. Two miscues on the play allowed catcher Meibrys Viloria (walk) to follow LeBlanc across home. Young ended up with a line of 1-for-4 with an RBI and strikeout while batting sixth. There was a brief Lane Thomas sighting late in the game when he took over in left to start the eighth. Thomas struck out swinging to kick off the ninth in his only plate appearance. Defensively, the Saguaros were charged with three errors – a fielding miscue by first baseman Cavan Biggio (TOR), a missed catch by Viloria and another fielding error by right fielder Khalil Lee (KC).